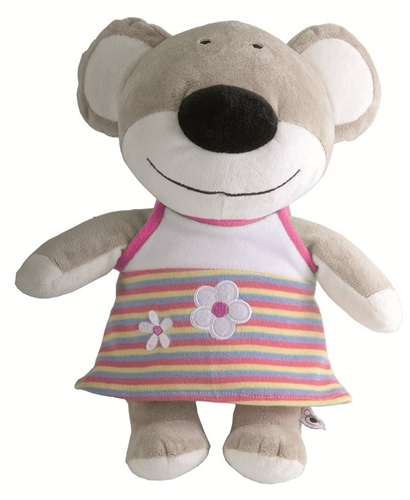 Cuddly toys are very important in the life of a child and this affectionate, cute and fun cuddly toy is designed with the softest fabrics and quality finishing touches that will be treasured forever. They'll soon be going everywhere with your baby and will help to awaken your baby's curiosity, stimulating their creativity and imagination. Soft cuddly fabric is soft on your little one's skin. Designed with the softest fabrics and quality finishing touches. Their little clothes can be taken off. So baby can learn to dress and also makes it easier to wash.
My little baby abosultely loves this. He's so attached to it. So much so that I had to buy another one just in case its lost or needed washed!